Dr. Inoue’s paper appeared in Journal of Radiation Research 2015. Dr. Inoue’s paper which was “Stereotactic body radiotherapy for Stage I lung cancer with chronic obstructive pulmonary disease: special reference to survival and radiation-induced pneumonitis” appeared in Journal of Radiation Research 2015. Won the NACMPA award to best medical physics paper published during 2013-14 in Int J MP, clin Eng Rad Oncol. Mr.Miura, medical physicist, won the NACMPA award to best medical physics paper published during 2013-14 in Int J MP, clin Eng Rad Oncol. Mr.Miura’s paper appeared in International Journal of Medical Physics, Clinical Engineering and Radiation Oncology. Our medical physicist Mr.Miura’s paper which was “Lung stereotactic body radiotherapy under the use of abdominal compression system “Air-bag system”” appeared in International Journal of Medical Physics, Clinical Engineering and Radiation Oncology. 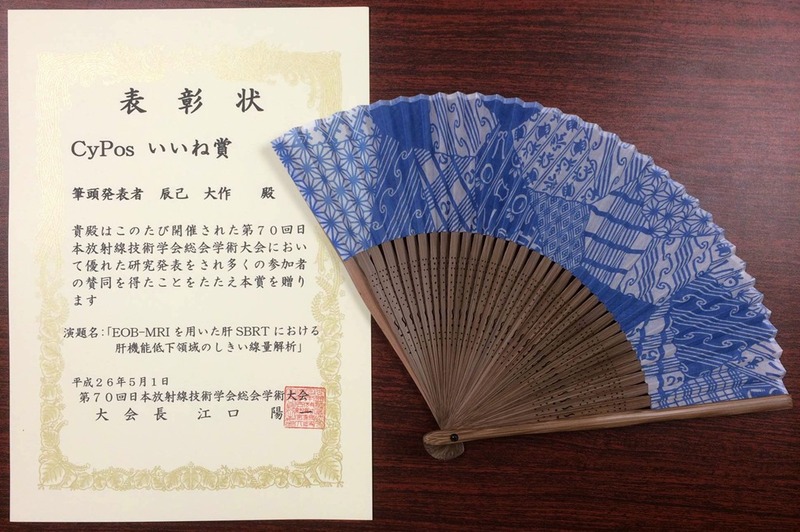 Won the 1st prize in the 57th Kinki sectional academic meeting of the Japanese Society of Radiological Technology. 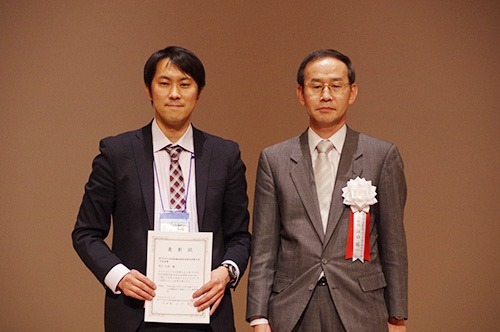 Mr.Murata, Radiation Therapist, won the 1st prize in the 57th Kinki sectional academic meeting of the Japanese Society of Radiological Technology. 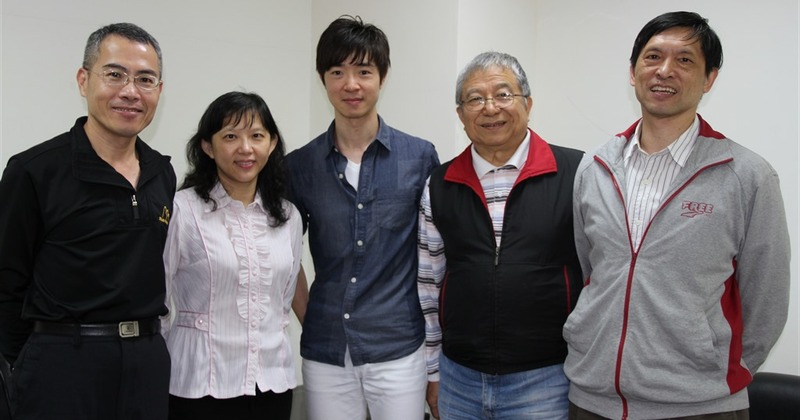 Mr.Huang,our Taiwanese technician, passed the 66th National Examination for Radiological Technologists. Mr.Huang graduated from Yuanpei University in Taiwan. His success is on the web of the Yuanpei University as an updated news. After he gets a qualification, he is planning to work as a radiological technologists in Miyakojima IGRT Clinic. ▲Mr.Huang is a man in center of this picture. 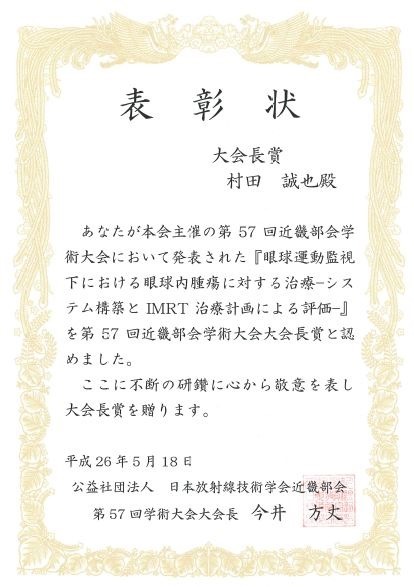 Won the most favorable CyPos award (in Japanese "Cypos iine syou") in the 70th JSRT. 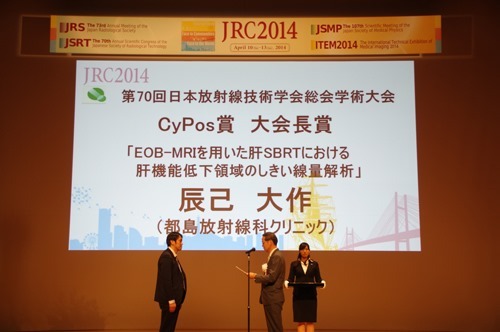 Mr.Tatsumi, Chief Medical Physicist, won the most favorable CyPos award(in Japanese “Cypos iine syou”) in the 70th JSRT. Won the 1st prize in the 70th JSRT. Mr.Tatsumi, Chief Medical Physicist, won the 1st prize in the 70th JSRT. ※These photographs were offered from Innavinet. 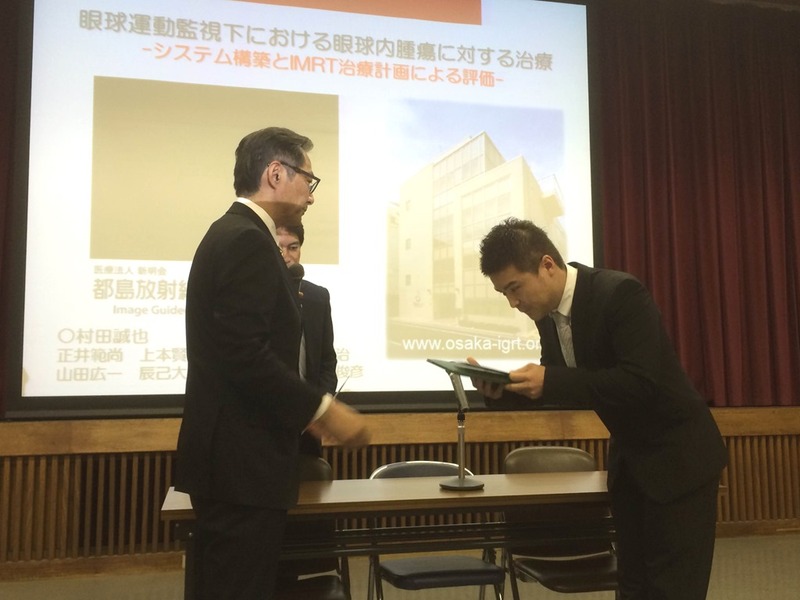 Dr. Inoue contributed an article for Citizen Oriented Medicine’s web site. Mr.Miura’s papers appeared in International Journal of Medical Physics, Clinical Engineering and Radiation Oncology. Our medical physicist Mr.Miura’s papers which were “Evaluation and Commissioning of Commercial Monte Carlo Dose Algorithm for Air Cavity”, ”Dosimetric Comparison of Different Prescription Modes in Lung Stereotactic Body Radiation Therapy”, “Dosimetric Impact of Tumor Position and Lung Density Variations in Lung Stereotactic Body Radiotherapy”appeared in International Journal of Medical Physics, Clinical Engineering and Radiation Oncology(Website:http://www.scirp.org/journal/IJMPCERO/). Mr.Miura’s paper appeared in JOURNAL OF APPLIED CLINICAL MEDICAL PHYSICS, VOLUME 15, NUMBER 1, 2014（P.38-46）. Our medical physicist Mr.Miura’s paper which was “Clinical introduction of Monte Carlo treatment planning for lung stereotactic body radiotherapy” appeared in JOURNAL OF APPLIED CLINICAL MEDICAL PHYSICS, VOLUME 15, NUMBER 1, 2014（P.38-46）.